The Application forms may also be obtained through post through by sending a request letter. Candidates can also submit the application forms online on the Institute website. Candidates who have submitted the application through online mode need not send any printed forms. The qualified candidates for entrance exam can get an admission for the course as follow in Sathyabama University, Chennai 2019 through direct admission and also entrance exam merit list. 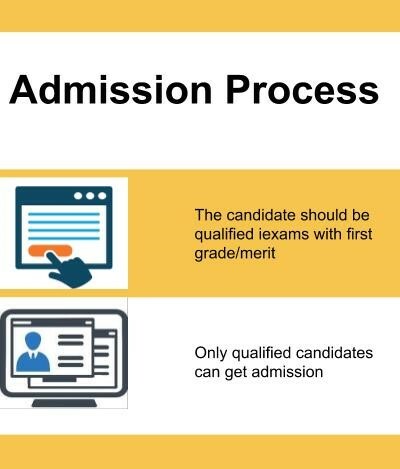 Candidate should pass qualifying examination with first class / in grade. In addition to this, the candidate should pass 10th class with minimum 60% marks. Non-resident India / Diploma holders /Candidates of Foreign Origin are not eligible to take the entrance exam. A pass 10+2 / HSC / ICSE or equivalent examination with relevant t subjects with 60%. The eligibility criteria for the course is having an intermediate board of education percentage of 90% and good speaking and understanding in the English language. I have taken entrance exam of lovely professional University and passed in 11-21% toppers list and It's not a big deal on cutoffs because the exam is easy. The eligibility criteria for the course is 90% in the intermediate board of education. Sathyabama university takes its own entrance examination. The form will be easily available in any major branches of the Indian bank. The total marks will be 100 out of that if you will get more than 35 marks you will be offered any of the branches of your choice. Departments like C.S.E./I.T., E.E.E. and E.C.E. are said to be most reputation wise high branches. The eligible person should have finished his/her Intermediate/+2 in MPC. Then we need to attend an entrance exam conducted by University, depending on the marks received will be eligible to choose the selected course, for my course(E.C.E) need to get 50+ marks. Anyhow, I got through management seat as I didn't attend the entrance exam. The eligibility criteria for admission at Sathyabama University, [SU] Chennai will be 60 percent in his 12 th and 10th. There will be separate exam for sathyabama university. Cut off will depend upon the question paper. Negative marking will be there. To get admission in Sathyabama University, [SU] Chennai the candidate should score a minimum of 60% in their SSC and inter-board. The eligibility criteria were 60% in 12th grade and 60% in 10th grade. An entrance exam was conducted and they called us for the counseling process on the basis of marks scored in the entrance exam. We were asked to write three preferences of the branch and based on availability the branch was allocated. Eligibility criteria is 60% in PCM for getting into Sathyabama University. Entrance exam or management quota. Typical cutoffs for your course 50% for getting into this college. There is Entrance Exam For Sathyabama University. I have Got Marks 45.They Called For Counselling Eligibility Criteria is 60% in 10th and 12th. The cutoff for the exam is 40/120.You should Choose the course available on the day of counseling. First of all, you have to complete your higher senior secondary matriculation. You have to take the online test as the part of the admission procedure which is available all across India. Entrance exam is conducted fully online from this year. The exam is conducted all over India. There is no negative marking. They are asking easy question only. Once you will cleared the exam they will call you for the counselling. Anyone with Science stream who cleared class 12th is eligible for Entrance Exam. For different Branches you have to get good marks in Sathyabama Entrance Exam. For getting admission to Sathyabama University every student should write entrance examination conducted by university itself cutoff will change for every year at my admission I got 90 marks and 2000 rank I got CSE branch. A Minmum 60% in PCM is required to get admission in Sathyabama university. All India level entrance exam is conducted in the month of march every year across the country. Minimum 60% in PCM is required to get admission in sathybhama university. Entrance exams are conducted across the country by the university to select the best students. The admission procedure and eligibility criteria for the course in Sathyabama University are through entrance exam conducted by the university. It's conducted online and offline. 12th Std marks and an all India exam conducted by the University are basic eligibility for admission. Candidates should have a minimum of 60% PCM average marks. One has to go through University entrance exam for the admission. There is no cut-off and everyone who writes the exam can get the seat in the college. Should have passed HSC (10+2) from any State Board / CBSE / ICSE with Mathematics, Physics, Chemistry. Eligibility based on entrance exam ranking concealing admission test conducted by university and through concealing selecting branch Sathyabama university entrance test. The eligibility criteria for admission is to pass in 12th standard with more than 60%. I have attended the sathyabama University entrance exam and I got around 8000 ranks in it. Eligibility will be 85% for entrance There will be an entrance exam in which you need score the cutoff after that you will be directly called for the counselling process. 60% is required in the Inter exam. Sathyabama University entrance exam is conducted by University 50% is the cutoff for my course. 12th degree is enough to get admission here. College conduct entrance exam for this course. There is no typical cutoff. Anyone who passes 12th with 50 percent marks should write Sathyabama University entrance examination. Cutoff depends on the ranks. The college will conduct the entrance exam and student should score the good marks to get admission. The cutoff is 1 to 5500. There will be an entrance exam called Sathyabama entrance exam and 40 marks out of 100 will be sufficient for the admission. Through sathyabama engineering entrance exam you get your admission. The cutoff is 30 marks to qualify for counselling. Can write entrance exam or can pay donation. But I didn't take any entrance exam. I don't know much about cutoffs. We need to pass +2 exams for the admission along with Sathyabama and some other deemed universities entrance exams. Sathyabama University entrance exam is the eligibility criteria, and no fixed cutoffs for the course. Candidates will be selected through counseling. The cutoff marks are 300+. The entrance examination is of the University and there are no cutoffs. When will college reopen for Counselling? BEST B.TECH COURSES OFFERED BY COLLEGES UNDER LOW FEE STRUCTURE. What is the eligibility criteria for B.E (Civil) in Sathyabama University, [SU] Chennai? Eligible candidates can buy the application form on payment of Rs. 1000/- at major Indian Bank Branches throughout India and Our University Campus. Filled in applications should be sent to "The Co-ordinator, Sathyabama University, Jeppiaar Nagar, Rajiv Gandhi Salai, Chennai 600119", on or before 6th April, 2016. 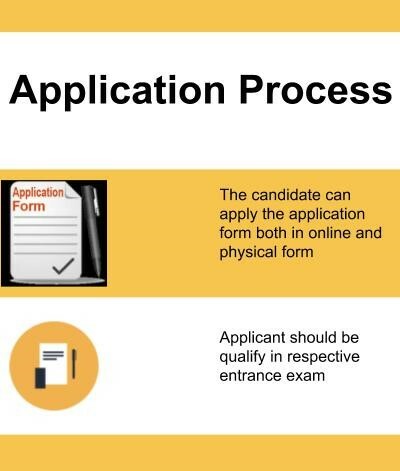 Application forms may also be obtained through post by sending a request letter (candidate's mailing address should be mentioned clearly in capital letters with pincode number, mobile number and E-Mail ID) along with a demand draft for Rs.1100/- drawn in favour of Sathyabama University, payable at Chennai. This request letter should reach on or before 18th March, 2016 to “The Co-ordinator, Entrance Examination-2016, Sathyabama University, Jeppiaar Nagar, Rajiv Gandhi Salai, Chennai-600 119”. Students opting for online application should fill in the application, and should verify all the details entered. After the verification of the details, payment of Rs. 1000/- should be made either by using Net Banking Facility/Credit Cards(VISA and Master)/Debit Cards(VISA and Master) or by challan payment at any one of the Indian Bank branches. APPLICATIONS WITHOUT FEE PAYMENT WILL NOT BE CONSIDERED FOR WRITING ENTRANCE EXAMINATION. ELIGIBILITY - Should have passed HSC (10+2) from any State Board / CBSE / ICSE with Mathematics, Physics, Chemistry.